"He looked exactly the same when he was alive, except he was vertical." The influence of Alfred Hitchcock's Englishness and repression cannot be overstated, and it helps to have healthy servings of both if you want to share in his macabre sensibility�there's not much suspense in The Trouble With Harry, actually, and you'll only find it flat-out hilarious if you think that a dead body is the funniest thing in the world, or if, as a kid, you repeatedly got dressed down for laughing in church. For the trouble with Harry is that he's dead, and his cadaver is the comic centerpiece of this dark little movie, sort of Hitch's Arsenic and Old Lace. Gee, Beav! The body is first discovered by little Jerry Mathers, as Arnie�he's no more upset about a corpse in the woods than anybody else, and that (ahem) deadpan sensibility is central to the droll humor of the film. This also may be the most rural of Hitchcock's films, with all the action confined to small-town Vermont�if nothing else, the autumn foliage looks spectacular here, and without any worries about global warming. Just who has done Harry in is a point of contention�was it Captain Wiles (Edmund Gwenn), on one of his rabbit hunting ventures, all of which have previously proved unfruitful? Or perhaps the aptly named Miss Gravely (Mildred Natwick), bordering on spinsterhood, boldly inviting the Captain over for blueberry muffins? And then there's the younger set, starting with Sam (John Forsythe), a painter of hideous abstractions, and Jennifer (Shirley MacLaine), the fetching, seemingly single mother of young Arnie. 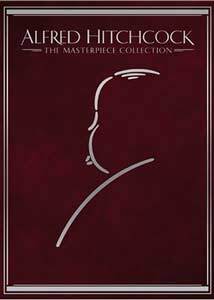 You get the sense that the branding of Hitchcock was at its apex at this point�he's marketing his persona almost more than he's telling a story, and that may be why the story isn't in fact all that compelling. Also absent is the seemingly requisite Hitchcock hero role, the innocent on the run, the ordinary man in extraordinary circumstances�this is a departure from the tested Hitchcock formula, which is fine, but a movie from the director of this period without either James Stewart or Cary Grant is likely to feel wanting, and that's the conclusion you'll probably reach. The performers themselves are fine�Gwenn is a feisty old coot, and this is MacLaine's screen debut; Forsythe does well enough, and though hindsight can be unfair, it's hard not to see Blake Carrington and hear Charlie. Mildred Natwick makes Miss Gravely more than just a stock character, and another Mildred, Dunnock, is the personification of New England flintiness as the proprietor of the local general store. I don't imagine even Hitchcock would have argued that this was one of his finest accomplishments, but his dark sense of humor is merrily at play. Image Transfer Review: Some of the images here could serve as picture postcards for Vermont, though admittedly the corpses would have to be CGI'd out�the transfer is a lush and saturated one. Audio Transfer Review: It's hard to tell if it's some early, shoddy looping or a tinny transfer, but the audio seems meager; it's especially noticeable when MacLaine is speaking, in the higher registers. Extras Review: The Trouble With Harry Isn't Over (32m:06s) gives everyone a chance to tell their favorite Hitch story�among those interviewed are screenwriter John Michael Hayes; associate producer Herbert Coleman; Forsythe; and the director's daughter. Also especially informative is Steven C. Smith, Bernard Herrmann's biographer, discussing this, the composer's first collaboration with Hitchcock. You'll also find a collection (06m:21s) of posters, lobby cards and publicity shots, along with brief production notes, and a trailer that seems to have been assembled for a VHS release of this title. No great belly laughs or fantastically suspenseful sequences here, making it relatively minor Hitchcock�its fiendish wallowing in the macabre, though, makes it memorable, as does the fact that it was Shirley MacLaine's first film.